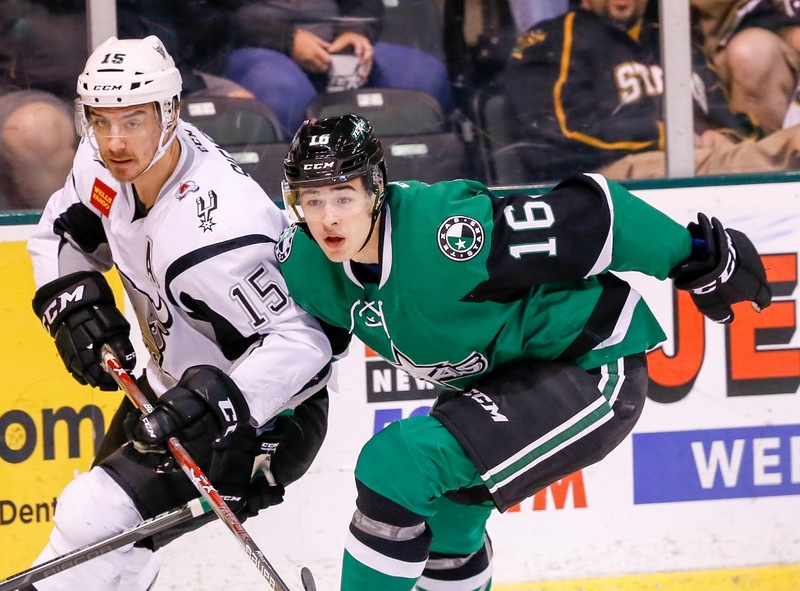 The Texas Stars have signed two depth players for 2017-18 in Colin Markison and Eric Sweetman. Forward Colin Markison comes from Bridgeport most recently. He also skated for Missouri in the ECHL last season. I would expect him in Idaho. Sweetman is a defenseman who paired with Gavin Baureuther during his time at St. Lawrence. With so many defensemen signed already in Texas and Dallas, you'd expect him in Idaho as well. The Texas Stars, American Hockey League affiliate of the NHL’s Dallas Stars, announced today the team has signed forward Colin Markison and rookie defenseman Eric Sweetman to AHL contracts for the upcoming 2017-18 season. Markison, 25, tallied six points (2-4=6) in 28 games last year for the AHL’s Bridgeport Sound Tigers and has competed in 73 career AHL games over the past three seasons. The 5-foot-10, 185-pound native of Princeton, N.J. competed for four seasons at the University of Vermont from 2011-2015 before beginning his pro career. Markison (MAR-kih-suhn) also played 24 games for the ECHL’s Missouri Mavericks in 2015-16 with 17 points (10-7=17). Sweetman, 23, begins his professional career after spending the last four seasons at St. Lawrence University (NCAA). The 5-foot-11, 175-pound defenseman tallied 64 points (16-48=64) in 146 career games at St. Lawrence. Prior to college, the Woodbine, Md. native played for the USHL’s Youngstown Phantoms from 2011-2013 and tallied 30 points (11-19=30) in 123 career games. Sweetman also skated as a teammate of Texas Stars defenseman Gavin Bayreuther during his four seasons at St. Lawrence. We're still about a month from the start of hockey in Central Texas, but your training camp schedule is here. Dallas will be in Cedar Park for the opening of training camp on September 15th. It's the third year for Texas to host training camp. The Dallas Stars and H-E-B Center at Cedar Park announced information regarding the team's 2017-18 training camp, which includes open practice sessions and the Victory Green vs. White Intrasquad Scrimmage. 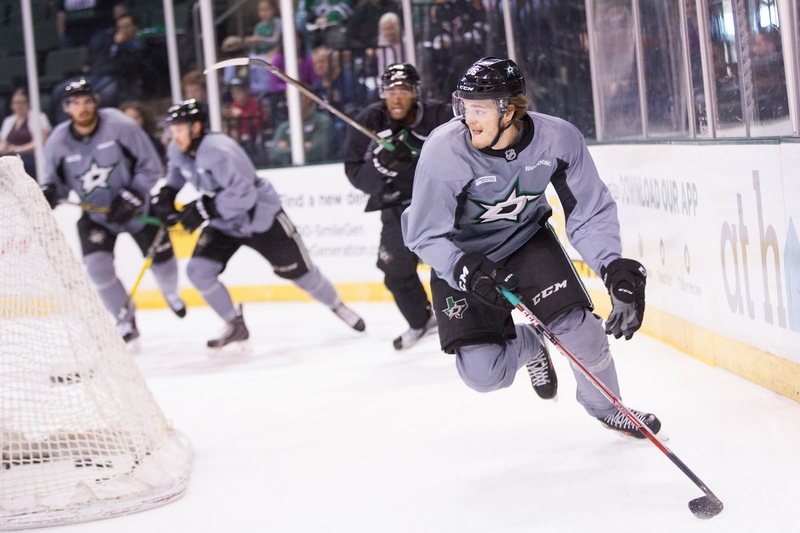 The Dallas Stars will hold training camp for the third consecutive season at H-E-B Center at Cedar Park from Friday, Sept. 15 through Monday, Sept. 18. H-E-B Center at Cedar Park is the home to the Texas Stars, Dallas' top development affiliate in the American Hockey League (AHL). The practices on Friday, Saturday and Monday are open to the public. Fans wishing to attend the sessions can enter through the east entrance of the building. On Sunday, Sept. 17, the Stars will host the Victory Green vs. White Intrasquad Scrimmage at H-E-B Center at Cedar Park. Split into two teams, the Stars will play an officiated scrimmage beginning at noon. Fans can reserve a free ticket to the scrimmage beginning on Thursday, Aug. 17 at 10 a.m. on TexasStars.com or Ticketmaster.com. Texas Stars ticket plan holders qualify for reserved tickets for the scrimmage, up to the amount of seats they hold in their 2017-18 ticket plan. 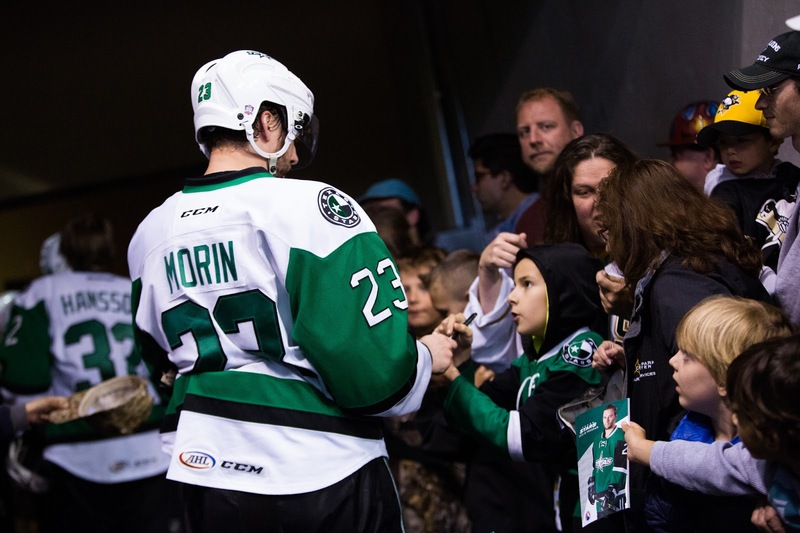 Plan holders can contact their Texas Stars customer service representative to acquire their tickets. Along with tickets to the Victory Green vs. White Intrasquad Scrimmage, Texas Stars fans can secure single game tickets for the 2017-18 regular season at H-E-B Center beginning on Monday, Aug. 21 at 10 a.m. CT on TexasStars.com. When Do We See the 2017 Draft Class in Cedar Park? In June, we saw the hockey world focus on Chicago, Illinois, for the NHL Draft. Next year, Dallas will be the host for the 2018 Entry Draft. There were a lot of exciting names in the draft pool for Dallas this season, including D Miro Heiskanen and G Jake Oettinger. However, when will those players be expected in Cedar Park? To figure out when players are expected to hit the AHL, let's take a look at when the Texas Stars 2016-17 squad was drafted. * - Caamano is not expect to come back for the full year next year and will instead play in the OHL and return as an ATO next spring. So if you look at this chart, you can expect that players drafted this year in the 2017 Draft will start to filter into the AHL as ATOs in 2019 and could have a bigger impact in 2019-20. At the end of his first month as president of the Texas Stars and the H-E-B Center at Cedar Park, Brad Alberts has one clear mission. "We have to connect better with Cedar Park, Round Rock, and Leander, the whole area. We want to make the team and the building synonymous with the region." Alberts took over for the retiring Rick McLaughlin on July 1. McLaughlin had previously been the only president in team history, an instrumental part in bringing the team and the arena to Cedar Park and guiding it through the first nine years in central Texas. Alberts tips his cap to the outgoing president and the current staff, who have given him a "10-year head start" on his plans as president. "When Mr Gaglardi purchased the team from the Hicks family, obviously I got more involved in watching what's going on down there. Rick decided to retire last year at this time and we started having those discussions, that he would phase out and I would assume the title of the president. It's been a year in the making. I'll still sit here in Dallas, but I'll be down there often." The model of having AHL team presidents or GMs sit in the NHL front office is well worn across the league and minor league sports in general. Scott White moved to Dallas several years ago and Jim Nill managed the Grand Rapids Griffins from Detroit before moving to Dallas to become NHL GM. "It'll be constant communication and be being down there as much as I can. I talk with these guys multiple times a day from ticketing decisions to things like community engagement. I let those guys execute on a daily basis." As mentioned above, Alberts sees a chance to gain a deeper connection with the community in order to get more fans to games and make the Texas Stars a regionally-known team. 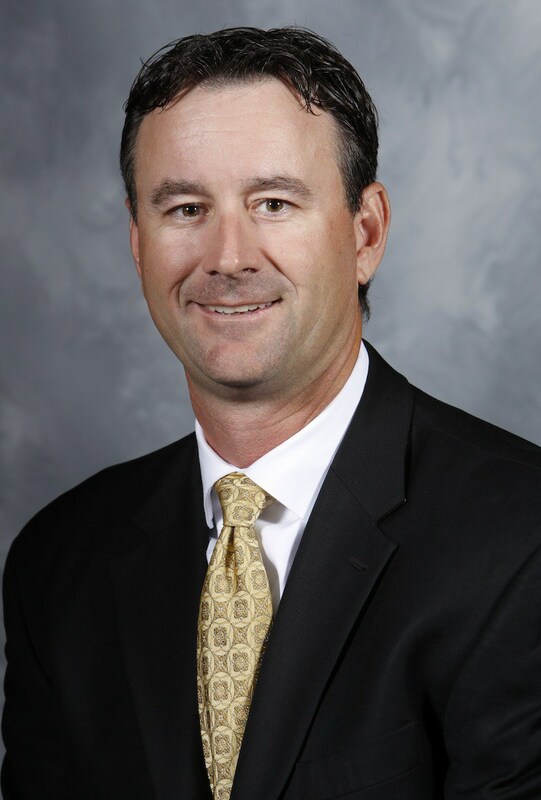 "I want to continue to turn Central Texas into a hockey market. I want to create more fans. I want more engagement with the region. The fan base for all things at the HEB Center comes from that region. We don't pull a lot from central Austin. We need to continue to engage with them and engage in the schools where the kids are and the families are." The obvious next step would be getting more and more kids involved in youth hockey. Flat out, Alberts agrees, "Austin needs more rinks. They need areas for kids to [play]." 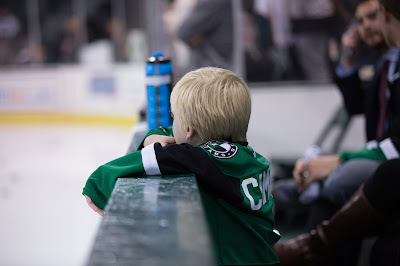 Dallas consolidated their youth hockey presence with the numerous Dr Pepper StarsCenters in the Metroplex. In fact, the Stars' main practice facility and front office are co-located with the Frisco StarsCenter. "It's been a boon for us in Dallas. That's an opportunity for us down the road to bring the StarsCenter concept to Austin down the road. We're not discussing that in the short term but that is something we could look at. Austin needs more grassroots opportunities for kids to get involved, especially in these bedroom communities." "When kids are playing, they're going to bug mom and dad to go watch." Pressed further on how the team plans to engage the community, Alberts is reticent to share anything solid, lest he ruin the surprise. "We are working on things that I think you'll like, but I don't want those to be public quite yet. We really want to engage with the schools and get in with the kids. We are going to do things that relate to the youth." In addition to being the president of the Stars, he will also assume McLaughlin's other role as president of the H-E-B Center. Of course, the arena hopes to bring even more quality events to the arena outside of hockey including high-profile shows such as the Styx and REO Speedwagon show that played last night. He also noted that Mr Gaglardi, who owns the acreage around the arena, is in the "middle to late" stages of planning for retail, dining and hotel properties on the site. "Once that area gets activated, it will help the events there as well." In all of this Dallas to Austin synergy though, one thing that Alberts is not looking to do is turn Austin into a mini-Dallas. "The two cities and areas are very different and the products are different. In 25 years here, we've been known as an edgy product and no one ever comes to an NHL game in Dallas and walks out saying it was boring. It's always really fun, but it is really different. We can't do all the same things we do in Dallas that we do in Austin. What we have to do is recognize that we're an AHL team and we're in Cedar Park and create a show and entertainment that fits the region. I'm not trying to put Dallas in Austin."